Sally and Jane’s expertise really made this a special day! As a groom with 2 groomsmen at a beach wedding I knew I wanted something different but didn’t know exactly what was needed. Having Sally and Jane referred to me for help and engaging them was simply the best decision I could have made for the day. We had a brief meeting and they seemed to understand perfectly what was needed even suggesting specific styles in mind even before our 1st meeting closed. They followed this up with phone calls and emails on various styles to gain my feedback and booked a shopping day so we could try on the outfits that they believed would work. I must say before this I couldn’t have imagined having someone else choose styling for me however this experience with Sally and Jane has certainly changed that. Not only did they come up with a style that I was ecstatic with, my “now” wife was too “Fairly Important for the Groom :)” plus we had positive comment all day from the guests, organisers and photographers. I am so appreciative of the time that Sally and Jane gave to me as they were so patient and professional on the shopping day and the result they achieved culminated on our wedding day by making me feel very special and confident especially knowing it was all “just perfect” and the photos will reflect that forever. Sally and Jane saved me time and money because they knew where to go and had narrowed down a few choices based on our discussions and when I purchased there was also a great discount on offer which made my new style fantastic value as well. 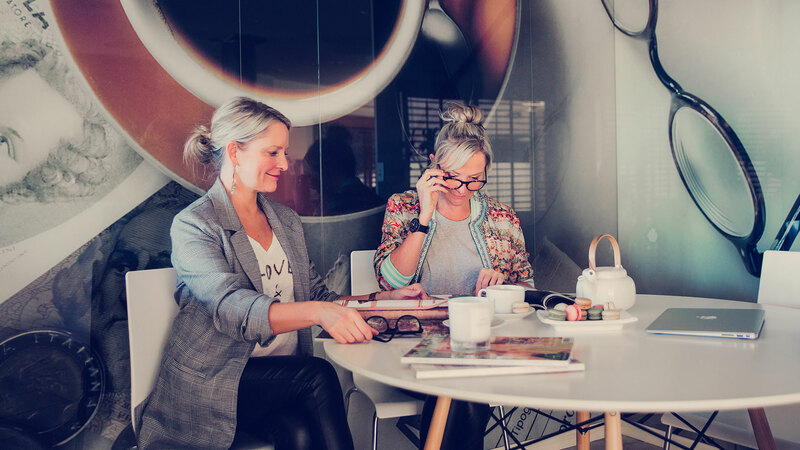 While you are working with Sally and Jane from “How Two Style” is very easy to see why everyone is happy to refer their friends and colleagues to these wonderful ladies. It’s a service that is accessible to everyone as its not expensive to have this expert advice and its why I’ll be going back to have them help me choose my business attire for 2016 as well. Everyone should try Sally and Jane ! Thank you again and see you soon! I approached Sally and Jane at Howtwostyle because I was going through a bad phase with my wardrobe and was in need of some professional advice with styling etc. After sorting though my wardrobe they knew what was needed to create a more styled look. One thing I really liked was how Sally and Jane pre shopped first which cut down what could of been hours looking for clothes. They had pieces of clothing/shoes in my size put on hold in the stores so when we arrived I just had to pop into the changing rooms and new looks came together in no time at all. I found the experience fulfilling as they really knew me and what looks worked and what didn’t. Their professionalism was outstanding and would highly recommend Howtwostyle to anyone who needs a fresh new look or simply needs to fine tune their wardrobe. Also the look book is a brilliant idea. I loved this. I will definitely being using Howtwostyle again for Winter.